Greetings! I hope this finds you and your families well. This month I want to share with you some exciting new work as well as a couple of special older pieces by several of the artists that I represent. As always, please feel free to contact me by phone or email with any questions or comments you may have. 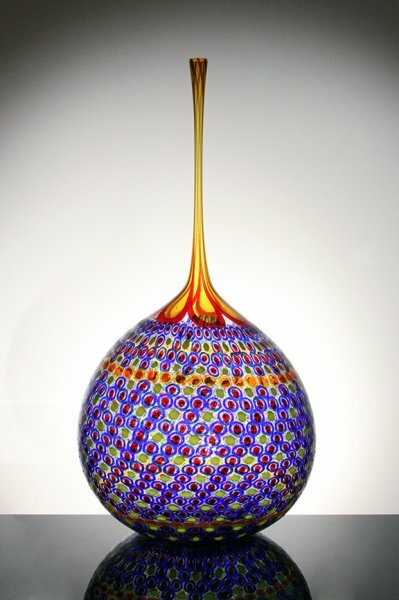 "I would like to make glass that is timeless, that stays forever young. . . I am not sure if this is possible." 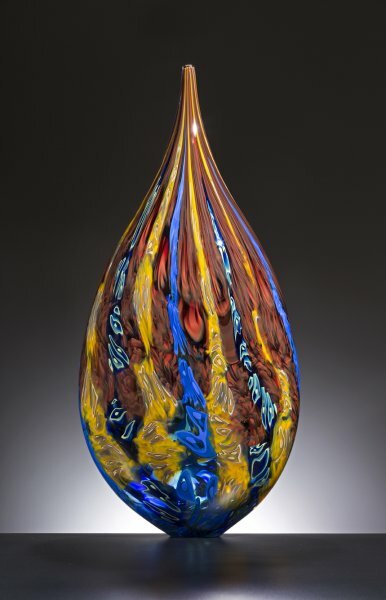 The Dale Chihuly 2017 Studio Editions are about to be released and you will be receiving a special edition of Holsten Galleries News on March 1, previewing the four beautiful new series Chihuly has designed for this year. I chose this beautiful Lino piece while visiting his Seattle studio in November. This piece has a distinctly abstract painterly quality with its alternating swaths of such a variety of colors. The distinctive murini work combines with the lack of any surface cutting to make an extremely dynamic example of the maestro’s work. 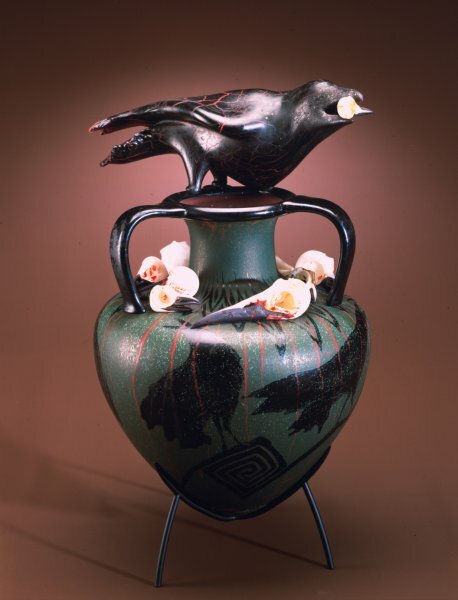 This Raven Vessel by William Morris is one of the greatest works to come onto the secondary market in the past year. The imagery is intensely dramatic and this piece has been pictured prominently in the book WILLIAM MORRIS ANIMAL/ARTIFACT. Please click here to see other pieces available on the secondary market. This wonderful piece by John Kiley was just finished and came my way only a few hours ago. I have several other images from different angles which show how optically potent this sculpture is. No matter from which angle this piece is viewed it is vibrant and provocative. The violet and red color combination is striking. This new cast piece by Alex Bernstein was also added to my inventory only today. 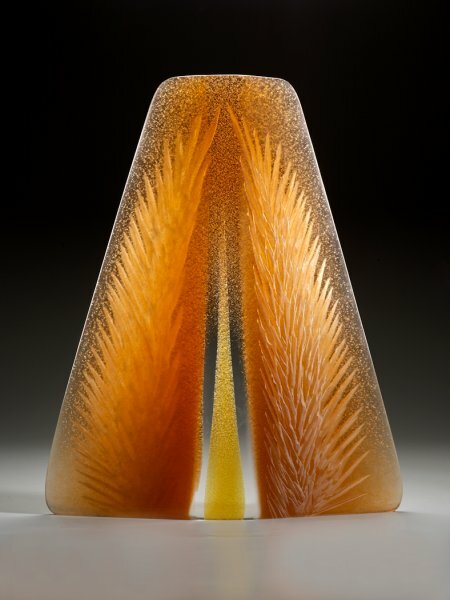 I love the color and the depth of this piece and also the surface carving which give this sculpture a very organic feeling. This is an earlier piece by Stephen from a series that has always been one of my favorites. 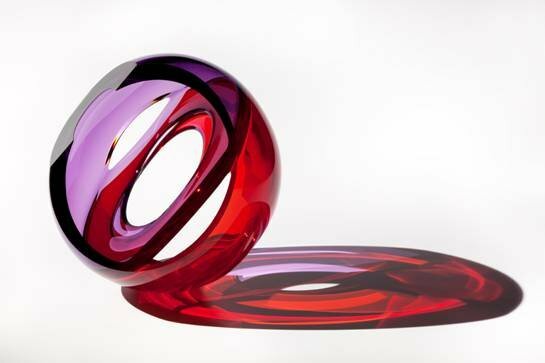 The fact that it is less complex sculpturally than many of Powell’s newer forms in some ways allows us to focus even more on the extraordinarily complex and beautiful murini patterns and the delicious color palette. I hope you have enjoyed this month’s edition of Holsten Galleries News and I look forward to keeping in touch as the new year progresses.